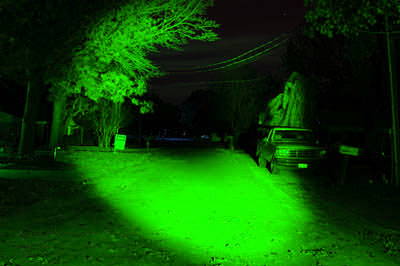 The Larson Electronics RL-85-HID-GREEN is an extremely rugged and powerful spotlight designed to provide maximum output and complete portability. 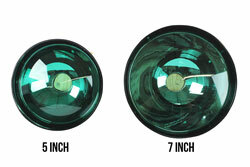 This spotlight is fitted with a green hunting lens and produces a light beam capable of reaching over 1900 feet in length. An included rechargeable lithium ion battery pack provides over 2 hours of runtime and high impact nylon and unbreakable polycarbonate construction provides light weight operation and extreme durability. This light weight and waterproof 35 watt HID spotlight is fitted with a green lens for hunting applications and is ergonomically designed to produce a well balanced and easily managed handheld light source that can withstand demanding conditions and use. 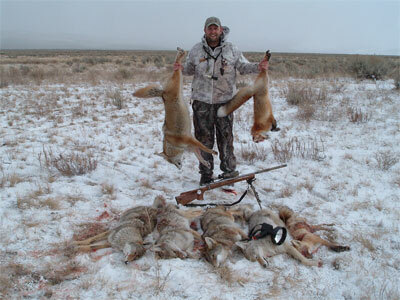 The entire unit weighs only 3 lbs 6 oz and is constructed with a high impact nylon handle and lamp housing and a thick polycarbonate lens for extreme durability. The unique lens and reflector design of this unit allows it to produce a high quality spotlight beam with exceptional intensity and long reach without irregularities or lens artifacts. 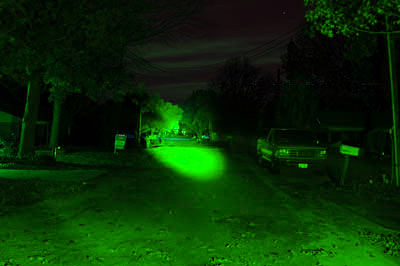 The included green lens makes this unit well suited for hunting predators at night as they are less sensitive to light in the green end of the light spectrum. Backed by a 3 year warranty, our RL-85-HID-GREEN rechargeable handheld spotlight is ideally suited for hunting applications and spotting. The ergonomic handle is 4.5 inches long, 1.5 inches deep and 5/8 inch thick, and the battery pack casing is approximately 4.5"L X 3.5"W X 2.5"D. The RL-85-HID-GREEN spotlight is designed for easy field maintenance with simple internal connectors accessed through the snap in base at the bottom of the handle and a lamp housing that is easily removed to access the bulb and wiring. No tools are required to change any part of the light including the bulb and battery pack.